Haloti Ngata is a large human being. According to Mike Garafolo of NFL Network, it's a reasonable deal. On Wednesday, the Eagles lost free agent DT Beau Allen to the Buccaneers, who signed Allen to a three-year deal worth $16.5 million. At 6'4, 340 pounds, Ngata should fill Allen's role as a run-stuffing defensive tackle in the middle of the Eagles' defense. According to Dave Zangaro of NBCSPhilly, the Lions were a good run defense team a year ago with Ngata on the field. Without him? Not so much. 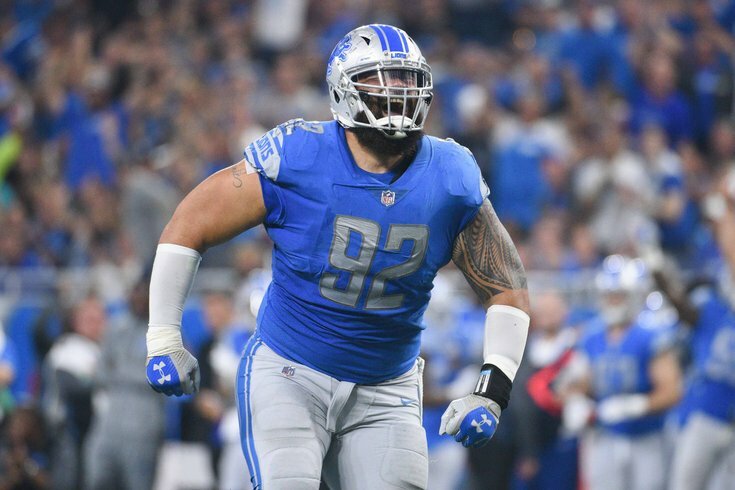 With Haloti Ngata (five games) in 2017, the Lions gave up an average of 74.6 rushing yards per game. In the 11 games without him, they gave up 129.7 on the ground. *TBD what Vinny Curry's future holds. Ngata played in Baltimore for nine years while Eagles personnel head Joe Douglas was there. Last season in Detroit, Ngata played in five games before being lost for the season with a torn bicep. He had 7 tackles and 2 sacks. He'll help the Eagles in their pursuit of being the best run-stuffing defense in the NFL, like they were in 2017.